Submitted by ken on April 17, 2007 - 12:44pm. 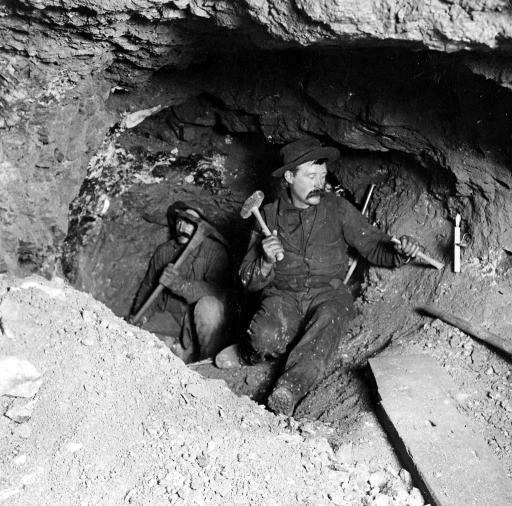 Miners work taking out ore in a gold mine in Eagle River Canyon, Colorado. Note the candle in the foreground.